Since March 4th 1999 and the passing of the Medical Marijuana Bill approved by 58% 0f voters, it has been legal, under certain conditions to grow Cannabis Seeds in Alaska. As with many of the states in America, the legalization of Cannabis and Cannabis Seeds for medical purposes within the State, requires the user to hold a current Medical Marijuana Card and restricts the number of plants and amount of Cannabis that can be in your possession at any given time. Approved Conditions For Growing Cannabis Seeds in Alaska. Cachexia, Cancer, Chronic Pain, Epilepsy and other disorders characterized by seizures. Glaucoma, HIV or AIDS, Multiple Sclerosis and other disorders characterized by muscle spasticity, and nausea. Other conditions are subject to approval by the Alaska Department of Health and Social Services. Possession and Cultivation Cannabis Seeds Alaska State Law. Patients may legally possess no more than one ounce of usable marijuana, and may cultivate no more than six marijuana plants from Cannabis Seeds, of which no more than three may be mature at any given time. The law establishes a confidential state-run patient registry that issues identification cards to qualifying patients. It is vital that all patients seeking legal protection under this act enroll in the state patient registry and possess a valid identification card. Patients not enrolled in the registry will no longer be able to argue the “affirmative defense of medical necessity” if they are arrested on marijuana or cannabis charges. Buy The Best Cannabis Seeds Alaska Can Offer. Once registered and protected under the State Medical Marijuana laws, you be able to legally buy cannabis seeds and cultivate your own marijuana plants. 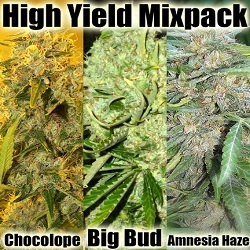 With so much choice of strains and breeders it can often be a difficult choice deciding which cannabis seeds to grow. Many of the cannabis seed Alaska suppliers sell complete packets of seeds that usually contain either 5 or 10 Regular or Feminized cannabis seeds, which, as the legal limit for Alaska is six plants, with only three flowering and maturing at any given time, poses many growers with a problem. Buying complete packets of cannabis seeds in Alaska offers the grower two choices; they can either grow just the one strain that they have a complete packet of cannabis seeds of. Or they can germinated a proportion of them and buy further packs to obtain a variety. There is a solution – Buy Single Cannabis Seeds Alaska! To help combat this problem, several of the most reputable and trusted of the cannabis seed suppliers now offer you the chance to buy single cannabis seeds, allowing you the opportunity of growing several different marijuana and cannabis seed varieties, without the expense of purchasing complete packets. Although almost all of these companies are based in Europe, two in particular do sell single cannabis seeds and also have a good reputation for shipping cannabis seeds to the USA without detection. The Original Sensible Seeds Company offer possibly the widest choice of high quality, genuine cannabis seeds to the USA, and are well known and respected for their collection of medical marijuana and cannabis seeds. Buying cannabis seeds online in the USA can sometimes be risky, import laws, parcels that go missing, and impounded packages happen all the time, not to mention unscrupulous websites that sell poor, cheap imitations of the real cannabis strain, or worse, steal your credit card details that you have used to buy cannabis seeds online. Fortunately The Original Sensible Seeds Company has built it’s reputation over 20 years and excels in selling genuine cannabis seeds online. 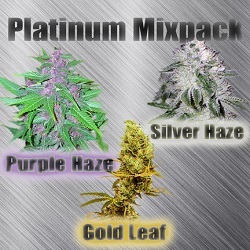 They offer secure payment, discreet packaging, free cannabis seeds on all orders, even if you purchase just 1 single cannabis seed, and most of all have two decades of happy, successful growers who endorse their integrity and honesty in the forums, in the cannabis chat rooms and in articles found in High Times, Soft Secrets and many more publications regarding the growing and buying of cannabis seeds online in the USA. Why not spend some time reviewing some of the many cannabis seeds for sale that are available online at The Original Sensible Seeds Company, read real grow reports, good and bad about many of the strains and discover for yourself the most popular and sought after varieties from the local medical marijuana dispensaries. 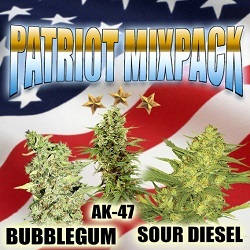 Ordering the best cannabis seeds Alaska has to offer is easy online, simply click through the banner below and view all the available Cannabis seeds for sale online in the USA. 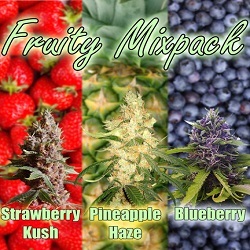 This entry was posted on September 25, 2013 at 3:48 am and is filed under Marijuana Seeds Blog. You can follow any responses to this entry through the RSS 2.0 feed.